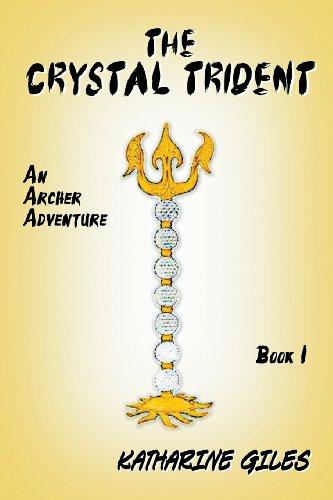 Book 2 of The Archer Adventures for young readers - A crystal triad charm hidden for centuries in a secret room beneath the white marble city of Balycon will take Archer on the adventure of his life.The charm is a magical amulet and when Archer accidentally invokes its powers, it transports him to the white marble city before an earthquake and tidal wave carried it to its grave. Archer's initial shock when he discovers he has traveled centuries into the past is soon replaced with wonder when he meets Baccio, the crystal master of the land city. Baccio tells him there were originally three crystal balls in the temples. The story of the missing crystal ball is a tale of betrayal when a trusted leader carried it away and created the earthquake and tidal wave that sent the city to the sea floor. To remove the aura and make the city safe, Archer has to find the missing crystal ball and return it to its pedestal in the secret room beneath the city. Now that Archer understands the source of the aura, he must choose his path. He can travel through the crystal ball to the frozen sea and take the crystal ball away from Chion - the same Chion who stole Balycon's crystal trident. Or he can travel into the past during the earthquake and tidal wave while taking the crystal ball from Chion's father. Does he have the courage and skills to make the right choice and bring the dead city to life? Make that plural -- "books". 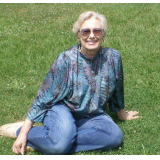 After reading one of my poems the light dawned. "There's a book in here!" I sat down at my trusty antique IBM typewriter and didn't stop typing until I finished 100 pages of 10 books. This is Book 2 of the series that follows Archer on his adventures through the parallel world of the immortals..
Katharine Giles 'Archer Adventures' are special. If you have a pre-teen who devours books, offer them this series. The characters are special, the descriptions of the places are artistic, and the companion creatures have fun personalities. Let your child wander through adventures in magical places as they discover new things and incredible worlds with Archer. These books are perfect chapter books to read with your younger children or just to curl up with on a stormy winter day (or while lounging at the pool). I can't wait until the next one is published.